Design is now the key driver of innovation and change within organisations across the globe. Learn how, when and why to use design to drive change in your organisation. 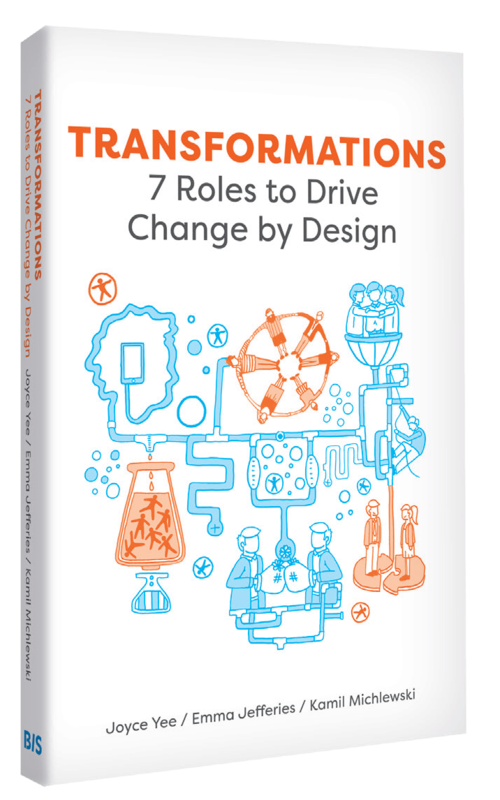 "This book will be a useful guide for leaders, managers and front-line employees who want to understand and implement design transformation." Dave Gray, Founder of Xplane, author of Liminal Thinking. In-depth case studies of 13 organisations from around the world and across commercial and public organisations. Visual summaries to help readers quickly identify key areas and insights from each case study. The authors present seven roles for change that are used to influence the development of products and services, the shape of the organisation itself and, most importantly, their ability to embrace change. These seven roles can transform organisations to be more innovative, human-centred and resilient. 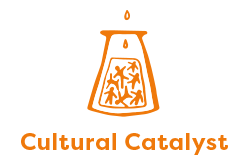 Using design as a Cultural Catalyst stimulates cultures to change through a clear focus on peoples’ needs and deep empathy as a means of approaching sensitive, cultural challenges. 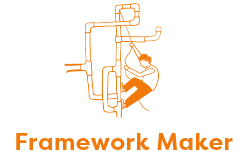 Using design as a Framework Maker, offers visualised and tangible markers of progress and prototypes, which help to create a pragmatic, purposeful conversation, which in turn drives the human-centred initiatives forward. 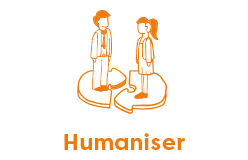 Using design as a Humaniser injects empathy into the process, creating a human dimension to the work and making business challenges easier to relate to and engage in. It also creates an approachable and inspiring change narrative centred around the purpose of serving real human needs. Using design as a Power Broker leverages the 'perceived' independence of the design profession and its focus on the user as the ultimate reference point. This has the capacity to diffuse tensions and realign internal teams around a common goal. Using design as a Friendly Challenger creates an environment where it is the norm to question basic assumptions, critique each-others’ work constructively and champion the search for the best possible (feasible, viable, desirable) solution. 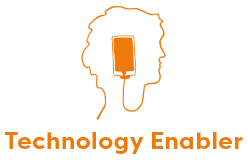 Using design as a Technology Enabler ensures technology is useful by emphasising the usability of the systems in place in order to maximise engagement, reduce errors and increase satisfaction of the systems’ users. 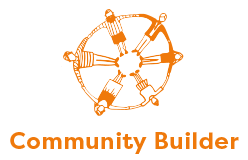 Using design as a Community Builder creates conditions for the community to come together by providing a safe, open atmosphere with the users and people involved. Design provides tools and techniques that offer an instant feedback loop for the participants to respond to, in effect creating a fuel for the community to coalesce and work together. Thanks to Joyce Yee, Emma Jefferies and Kamil Michlewski, business readers now have a smart and practical primer on design thinking. Unsurprisingly for a book on transformation design, it puts you, the reader, at the centre. It’s easily navigable and layered so you can mine it quickly for the headline, dig deeper through the case studies or go further in to the tools and methods on-line. The authors’ academic credibility comes to the fore. They present seven well-evidenced roles that unfold in the book as a check-list for anyone in business concerned with turning complex systems into simple effortless services for customers. Remarkably for a book written by three people it feels like it was written by one. I liked its straightforward business language. This book gets my vote as a great new addition to the pantheon of writings on why and how to design change in your company. We have heard a lot about “design thinking” in recent years; this book helps us think about “design doing”. Fascinating case studies and interviews with design consultants, industry leaders, and key academics provide the foundation for an intriguing investigation into the various roles that design plays in transforming cultures, products and infrastructures. This book is not about design thinking, nor is it about design methods–it is about the roles that design takes. The authors outline the subtle ways in which the results of design as a discipline and a practice are communicated, and how design therefore influences influence people, groups and organizations. A fun read, this is a very human text, speaking to the ways in which design ideas are communicated in the complex social arenas where innovations and infrastructures are created and maintained. Whether you want to reflect on how you communicate your design practices and ideas, or if you are looking for a way to think about how to communicate design ideas, or if you simply want to glance into how design is practiced in a number of disparate organizations, this book is for you. Design-driven companies have happier customers, greater competitive advantage, and higher financial returns than their peers. This is a useful book for anyone who wants to embed design as a core approach in their organisation. It clearly articulates seven roles and related activities that enable organisational transformation, as well as well-documented case studies that show how design strategies can be successfully activated in different types of organisations. This book will be a useful guide for leaders, managers and front-line employees who want to understand and implement design transformation. 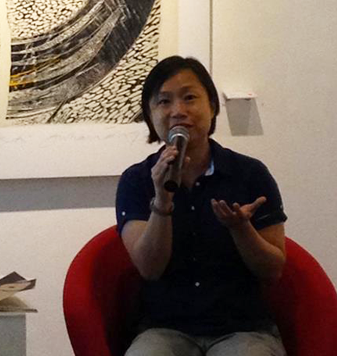 Joyce is a design researcher, author and designer. She is currently an Associate Professor at the UK’s Northumbria University’s Design School teaching interaction, service and innovation approaches across undergraduate and postgraduate levels. Transformations is a natural follow up to her previous book, Design Transitions, a book about how design practices are changing. She has over 15 years working experience in a wide range of academic and professional environments as a user researcher and as an interaction and service designer. Joyce’s research is focused on the value, role and impact of design in organisational contexts. 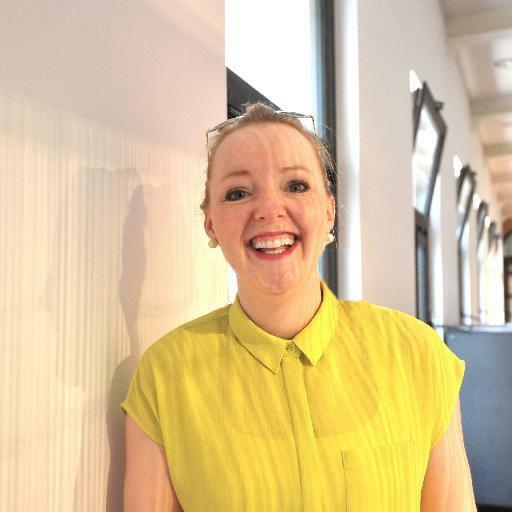 Emma is a business coach and service designer, and is the co-author of the book ‘Design Transitions’ (BIS, 2013). She holds a PhD in design and is part of the Design Thinkers Group. Her natural habitat is out in the wild, working with global innovation teams, consultancies and governments in South America, Asia, the Middle East and Europe. 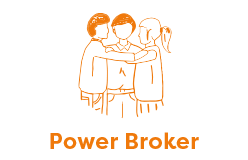 Emma helps organisations become more productive by facilitating people in working together to reveal a core purpose, daily practices and a vision. She is currently working with a UK government department creating empathy practices. 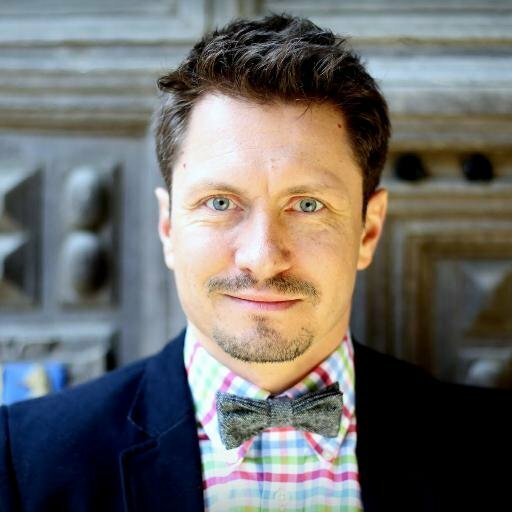 Kamil is a brand strategy and innovation consultant, author and speaker. He is currently working as a Senior Innovation Consultant at Human Innovation. Kamil was awarded a PhD on the subject of design and business in 2006. Over the last 10 years he has been helping blue-chip clients such as Electronic Arts, Marriott, Nestle, Sony, and Visa with challenges ranging from category growth and brand positioning to human-centred innovation. In 2015 Kamil published a book titled ‘Design Attitude’, which explores the nuances of design in the context of innovation and organisational cultures. We would love to hear what you thought of the book or how you have used the 7 roles.